Last year, Iran‘s women’s under 21 women's rugby team from came to Berlin to play an international sevens tournament together with Rugby Klub 03 Berlin, USV Potsdam and Berliner SV 1892 Rugby. Not only for the Iranian girls was this a very special trip, but also for the German rugby and media it was a sensation. Now they are about to meet again, but this time in Teheran. Germany’s “Adler Sevens” team – Germany's development team - will be the first German rugby team ever to traveling to Iran, and probaby the first official women's rugby selections from outside Asia to tour the country. The squad will be in Iran for two weeks, from October 28th to November 11th, and will train with their host's national youth team, and will get a chance travel around to get to know country and people. All of this will build towards first “Tehran Tournament of Friendship (TTF)”, which will feature Adler 7s, Iran (senior and juniors) and Turkey at the Ararat Stadium in Tehran. 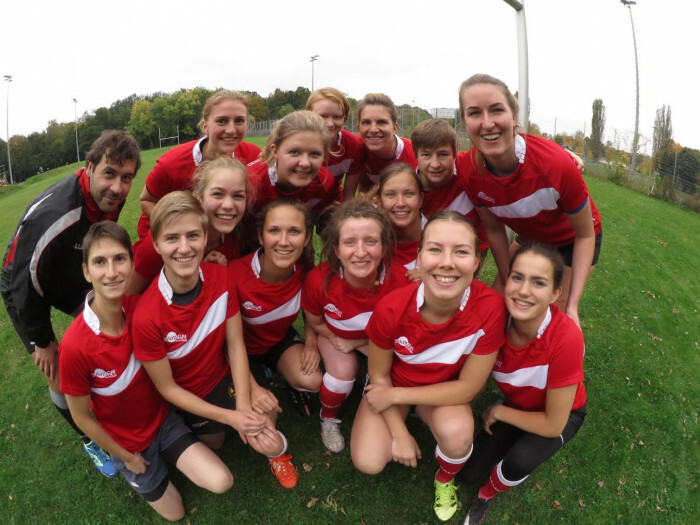 Together with the Berliner Rugby-Union, the German Women’s 7s Rugby Academy selected a group of 14 young players who will represent Adler Sevens.